On a clear day, you really can see forever! 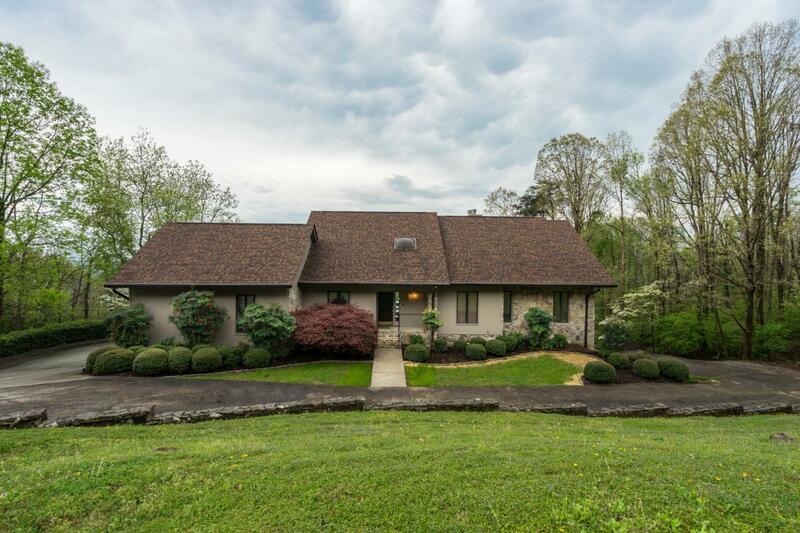 Check out the panoramic mountain views from this custom Signal Mountain home conveniently located on the front side of the mountain just minutes from downtown Chattanooga. Easy care exterior leads to light, bright entry foyer (love the skylight) with gleaming hardwood flooring, that extends into the formal dining room. Massive great room boasts 180 degree views, mountain stone fireplace and custom crafted built in shelving. Cook's kitchen has all the modern updates - tile backsplash, granite countertops, stainless steel appliances and my favorite? The double oven!! There's so much room and storage in the laundry room - you might actually enjoy spending time there!Large bedrooms and oversize bonus room (love the wet bar here!) are just as nice as the massive master bedroom. You get even more of the views from the private master suite with its easy access to full length back deck. Summer dinner parties sitting on the screened porch or on the deck grilling a burger all while taking in the view - there's no way to put a price tag on that!! If you want to own one of Chattanooga's best views, you have to see this home!